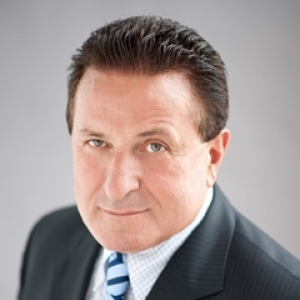 Al Spizzirri has been a licensed Real Estate sales representative since 1985, starting his career in a small independent office Al soon realized the importance of a brand name and the edge the Re/Max name offered. In 1987 Al joined Re/Max and today Al Spizzirri is a recognized name in the industry. In 1988 Al won his first International award and through the years has contined to win numerous other International and Canada Re/Max awards. Al offers his clients years of knowledge and experience. His high standards of professional excellence and integrity have rated me as one of Re/Max’s top professionals. Combining my strengths with the Re/Max has allowed me to become a leader in my industry. Customer satisfaction and personal service is what has built my business and keeps my clients coming back. You could be a 1st time buyer or previous client it doesn’t matter I will always strive for the highest calibre of service. The demands of today’s industry means staying in tune. Al’s years of dedication to the real estate industry, my clients and my community have allowed me to build my reputation and have a strong market presence and it is my mission to continue to be a step ahead in customer relations, ethics, knowledge, strong negotiating skills, creditability and service. A resident of Caledon for 30 years and highly visible in the Real Estate Market in the area.